The Roman Goddess Venus has often been seen as a mere symbol of carnal love in patriarchal times, and while her Greek form, Aphrodite, has sometimes been seen in a more philosophic light, the same patriarchal reductionism has tended to apply. Various classical legends have grown up about the Roman Goddess Venus and her Greek counterpart, representing her as all-too-human in her amours and jealousies. Some of these have an esoteric meaning and some are mere patriarchal inventions, but we refer to them as legends rather than by the familiar but misleading term "classical myths" because true mythos is something of a higher order than these; expressing, in the language of Archetype, fundamental truths that are beyond the grasp of discursive reason. Such legends, at their best, have the character less of true myth than of folklore, in which it is usual for Archetypal figures and events to be unduly humanized and individualized [see Mythology and Folklore for a fuller explanation of the distinction]. Indeed the decline of the classical world from a fully operative Tradition into a "Paganism" properly so-called (and thus requiring the incursion of a new but fully operative Tradition such as Christianity) is precisely characterized by this process of "folklorization", which perhaps gained its initial impetus from the patriarchal process of the trivialization of Our Mother God. It may be noted in passing that the related Indo-European "polytheistic" system now termed Hinduism, unlike its Graeco-Roman and Germanic sisters, did not trivialize Our Mother God but in many cases re-elevated Her to Her true position as Supreme Deity: and that "Hinduism", unlike its polytheistic relatives, survives to this day as a fully functional Tradition. Let us then look less at the legends than at the fundamental characteristics of the Roman Goddess Venus. Venus is universally associated with the sea, and with the Morning and Evening Star. Like the Our Lady Mary, she bore the title Stella Maris: "Star of the Sea". Like the Virgin Mary, her sacred flower is the rose, and indeed she was sometimes simply called "Mari" (meaning Mother/Sea-Goddess). 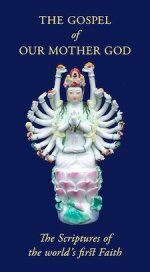 Now, while these are universal attributes of Our Mother God, they are also specific to the Sushuric, or Venusian, aspect of Dea and also to Her creative function. The association of Our Lady Mary with Our Mother God as Creatrix is examined in our page on Creation Myths and the Virgin Mary. But why should the Sushuric function, as typified by the Roman Goddess Venus and her cognates, be linked to Dea as Creatrix? This is also the deeper meaning of the title of the Roman Goddess Venus Genetrix. The profound connexion between love and generation, not merely in its human reflection, but as the very reason for the existence of the universe, is so fundamental as to require a page of its own: and, as we shall discover, this important truth is deeply connected with the inner meaning of the very name of the Roman Goddess Venus. Please proceed to Venus, Goddess of Love and Creation where we shall explore these matters in greater depth.